Question: My dogs rabies tag has gotten lost from his collar. Do I need to have him get another rabies shot in order to get another tag? Our answer: This happens all the time! Give us a call (336-227-9979) and we’ll get your little one a new tag in mere moments. You can pick it up at your convenience. Too Dark for a Walk? The dark evening hours come early now and it’s so difficult for many of our owners to remain dedicated to that daily walk ours doggies really need. Our new program allows your dog or cat to be dropped off at doggie day care or the kitty condos for the day. It’s a great way to keep those New Year’s resolutions for your pet! While you are at work, or enjoying a day out, we will provide your dog with a walk or run for the distance/time of your choice. Our kitties will enjoy play time with their toy of choice and one of our feline specialists. Package deals are available. Please call for details. 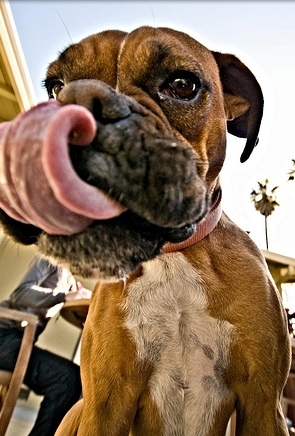 Question: Why do Boxers “smack” their lips? Mine does this a lot. Is this normal? Our answer: Smacking lips can indicate a number of different issues almost all of which are physical. Of course there are the obvious issues which may be in the mouth – dental disease, gum masses, ulcerations, etc. These are best found during a physical examination. 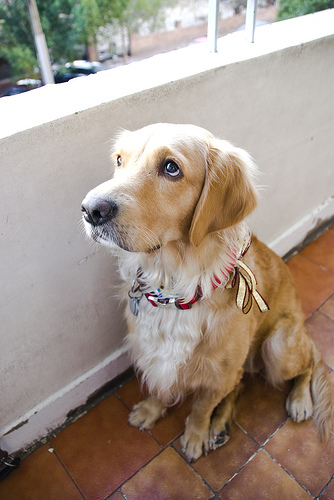 We can often see lip smacking behavior in dogs with longer hair. When the hair gets in their mouth they smack their lips in order to get it out. This is obviously not a concern in your case. Now, for the not so obvious – diet. What is your dog eating? Nausea, acid reflux, and a lower quality diet can all be a culprit. All of these cause an increase in the saliva production in the mouth which leads to lip smacking. 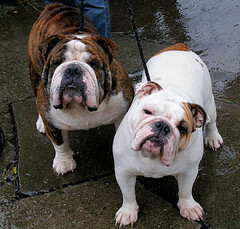 It is actually a common misconception that dogs such as boxers, great danes and bull mastiffs are supposed to have long ropey drool. So, what to do now? If there is no outward physical evidence of a cause for the lip smacking, I would begin with a diet upgrade. Upgrade to a premium grain-free diet such as Nature’s Variety Instinct. If you don’t see an improvement in about 4 weeks, give us a call and we can discuss other medical options including antinausea and antacid medications. This is a great question which often goes unasked since most owners don’t see it as an issue. Although likely a mild issue, it is one that should be addressed to make sure your dog is getting 100% of what he needs. Words can not express our gratitude for the care you have given to our beloved pets over the years and for the many kindnesses you have shown our family. Thank you so much for your hard work, kind thoughts, prayers, Facebook posts and flowers. Nigel likes to try to knock them over and Evil Betty likes to, of course, chew them.